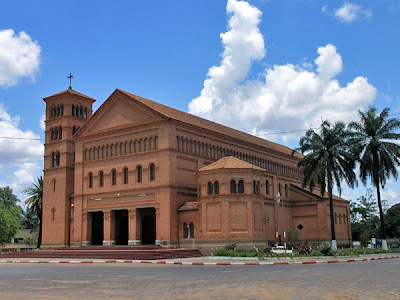 St. Pierre et Paul, the classical cathedral of Lubumbashi, or The City Formerly Known As Élisabethville, in the Democratic Reublic of Congo. Year: 1921. Architect: Unknown. Contextual and cool, even literally (I would guess).